The ITA’s remit includes carrying out a detailed risk assessment, test distribution planning and management, out-of-competition testing, Therapeutic Use Exemption management, and support with regard to the IWF’s education programmes. Under the agreement, signed here at the 2018 IWF World Championships in Turkmenistan's capital, the ITA is due begin its work on January 1 next year. Working closely together, the ITA will expand its role to include in-competition testing, management of the IWF Athlete Biological Passport programme, result management, and long-term storage and re-analysis of samples by September 2019. It is claimed the partnership is another clear example of the IWF’s commitment to anti-doping, and the importance it places on educating athletes, coaches and spectators. 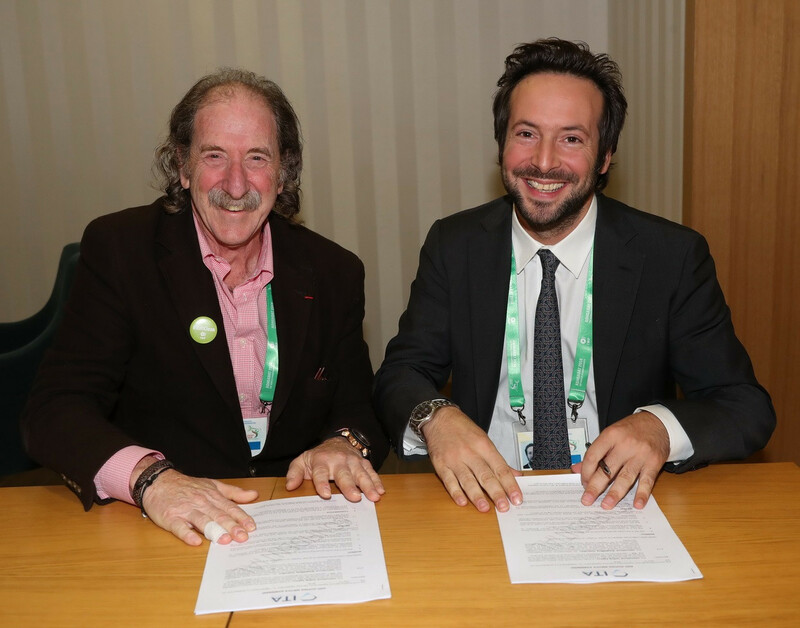 "We are very pleased to be partnering with the ITA and will benefit greatly from their independent, world-leading expertise in delivering anti-doping programmes," IWF President Tamás Aján said. "We are committed to protecting clean athletes and ensuring our anti-doing testing is more accurate, more efficient and more transparent. "We have made excellent progress in recent years and would like to express our gratitude to the CCES (Canadian Centre for Ethics in Sport) who have played a key role in strengthening our anti-doping operations. "We look forward to working closely with the ITA as we continue on our path to ensuring clean weightlifting." Benjamin Cohen, director general of the ITA, added: "We are proud to announce our latest partnership with the IWF. "Protecting clean sport and clean athletes is imperative to both the ITA and the IWF, and together we will ensure that these athletes excel. "As part of the growing ITA community, the IWF has shown that it is dedicated to the fight against doping, and we look forward to working closely with them to keep weightlifting real." Weightlifting's place is guaranteed for the 2020 Olympic Games in Tokyo, but to retain its place beyond then, it must update the International Olympic Committee (IOC) with reports of progress in its anti-doping efforts. Last December, the IOC outlined four requirements the IWF need to meet to stay on the programme post-Tokyo 2020. In July, the IWF also signed an agreement with USA Weightlifting and the United States Anti-Doping Agency to provide anti-doping education worldwide. A Memorandum of Understanding between the three parties was agreed and saw the launch of a learning management system. The system was launched in time for compulsory use here at the 2018 IWF World Championships, which are scheduled to run until Saturday (November 10). Under the terms of the agreement, USA Weightlifting are coordinating production of the online education platform. It is claimed the body is using its experience of implementing policies that require athletes to complete anti-doping training prior to competing at national events. Nine countries banned by the IWF for having multiple positives in the re-testing of doping samples from the Beijing 2008 and London 2012 Olympics - namely Russia, China, Kazakhstan, Ukraine, Armenia, Azerbaijan, Belarus, Moldova and Turkey - have now served a year's suspension and returned to competition prior to the 2018 IWF World Championships.